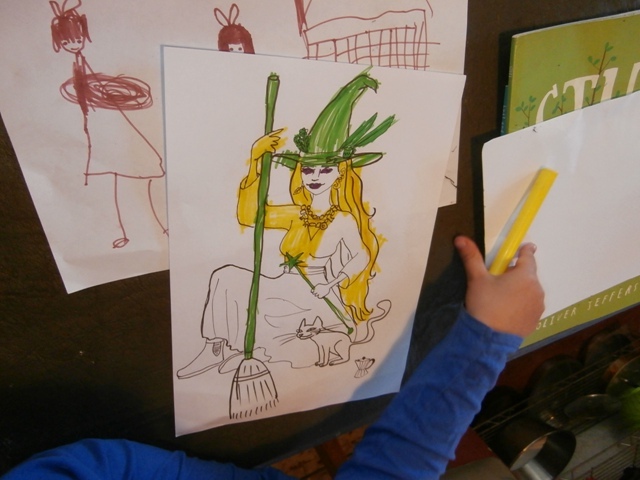 I made some colouring-in pictures for Viole, 5… Witches! 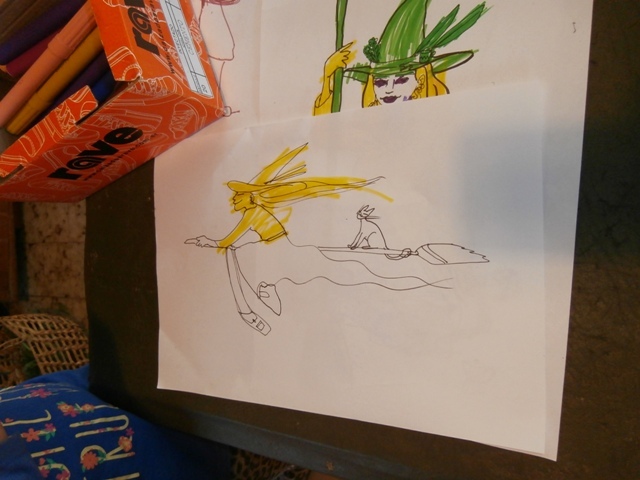 Referencing the fine Finnish tradition of ‘Easter witches’ and the previous day’s magic cauldron games. 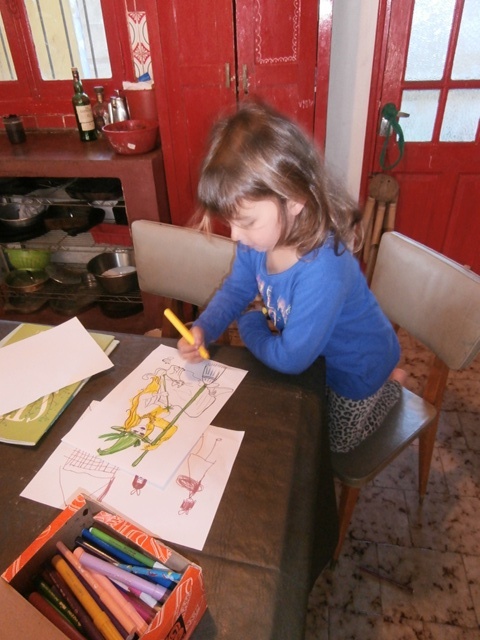 However, looks like I overestimated her desire to fill in little details in different colours. Two colours is enough for this. And, with much less fiddling around, Witch nr 2.